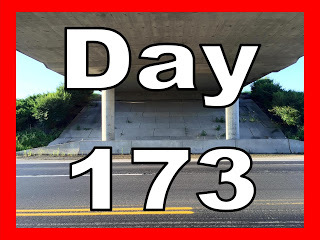 Tutti Frutti, a song by Little Richard, marks day 330 under the overpass. Man, this was fun to do and I can’t believe that I haven’t done it before. Tutti Frutti was a song that I first heard on the 80s comedy “Top Secret”. Yes, I again missed out on the original performance by Little Richard and enjoyed the vocal musings of Val Kilmer. I will admit that he sounded great singing it in the movie. I may do more from this genre.